I was in high school when I sensed God wanted to use me in Christian ministry. I was confident God was calling me to Youth Ministry. While at Bible College, I met my future wife Sue. Later after directing Alpine Bible Camp in Bradley, WV for over five years during which the programming was radically updated and expanded, I felt led to seek a less transient ministry. I did not move but the campers did. I wanted to invest my life in people for the long haul. So, I returned to seminary and was trained in counseling. The Lord clearly led us to First Baptist Church in New Castle, PA, where I led the Student and Family ministries for nearly ten years. Then the fellowship called us to be Senior Pastor. For over 20 years, I have served the Lord by serving the people of this church and community. During the 30+ years in New Castle I worked under two Senior Pastors and three Interim Pastors. During the 20+ years as Senior Pastor we transitioned to an Elder Board, reworked our constitution and by-laws two times. We went through a major renovation project, had several major outreach events that resulted in tens of thousands of people being exposed to the love of Christ and the Gospel, transitioned from a church that simply gave money to missions to a church that is actively involved in local and international outreach efforts—partnering with some of the finest missionaries and churches on the planet! 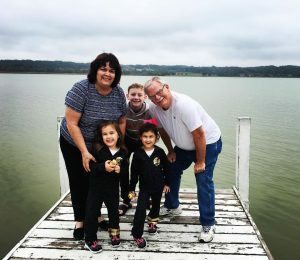 We now love being grandparents to our three grandchildren and joining God in what He is doing in different communities for His glory as I serve as an Interim Pastor.